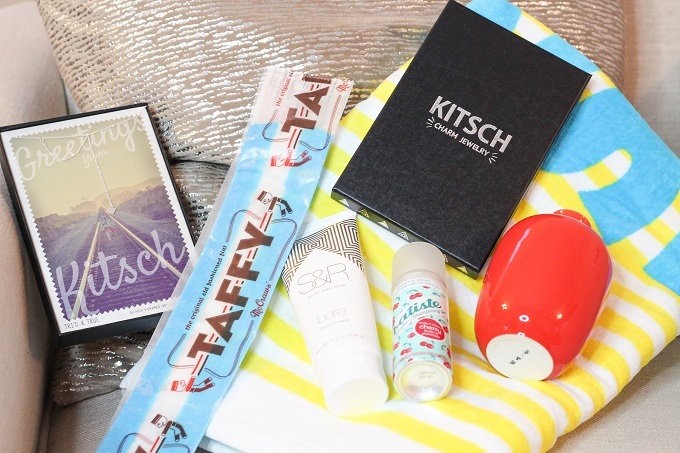 This month's PopSugar Must Have Box held a variety of summer themed and extra colorful items! As usual, it was a complete surprise to find out what was inside! 1. 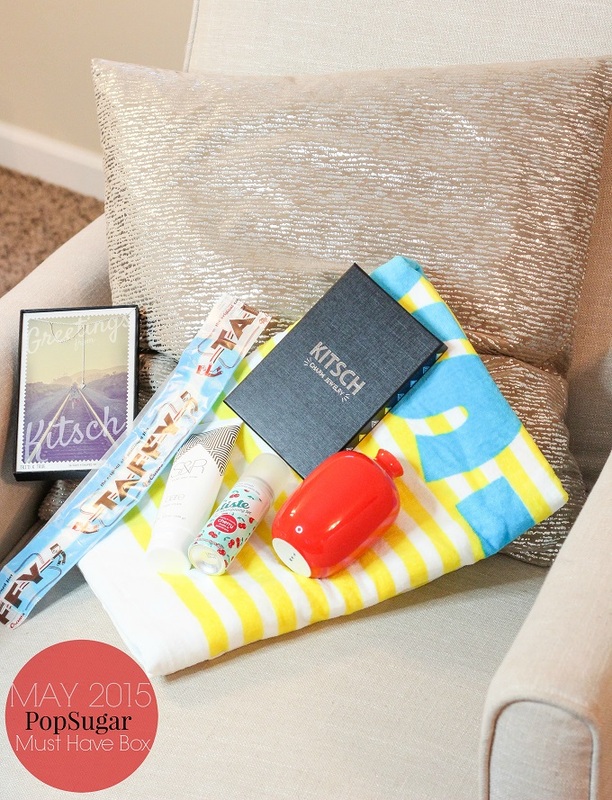 Surf Sand Love Beach Towel - This is so season appropriate and handy for me because I am leaving for the beach in a couple of days! I can't wait to use it while I'm soaking up the sun! 2. Kitsch Charm Necklace - This is a cute and dainty jewelry piece I could actually see myself wearing a lot. I'm not into chunky jewelry so this seems to be a simple touch for any outfit. 4. Mini Batiste Cherry Scented Dry Shampoo - I was seriously in need of some dry shampoo and I like the fact that it's mini so I can take it with me on vacation! 5. Sage & Row Bare Shave Cream - Another useful item! This is currently packed into my suitcase and is a great size for travel. 6. McCraw's Taffy - I'm not a big fan of taffy but it was a cute touch! Overall I liked the theme of this month's box! There were a couple of items I was on the fence about but most have proven to be useful for travel and the upcoming summer! What are your thoughts on the May PopSugar Must Have Box?